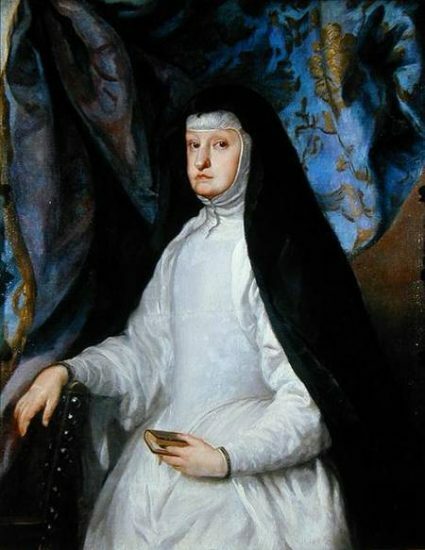 Mariana of Austria was born on 24 December 1634 as the daughter of Ferdinand III, Holy Roman Emperor and Maria Anna of Spain. At the age of 11, Mariana was betrothed to Balthasar Charles, Prince of Asturias, but he died just three months at the age of 16. Philip IV of Spain was now left without a male heir, and he was conveniently widowed too. He decided to marry Mariana, who was also his niece, himself. Their age difference was 30 years. They were married on 7 October 1649 and spent their wedding night at El Escorial. It was not to be a happy marriage. Philip did not allow her any influence on the government, and she threw herself into religion. Of their five children, only two would live to adulthood. Her eldest daughter Margaret Theresa would go on to marry her own uncle, Leopold I, Holy Roman Emperor. Her only surviving son, Charles was born on 6 November 1661. He was born physically and mentally disabled, most likely due to the many years of inbreeding. His tongue was very large, and he drooled. When Philip IV died on 17 September 1665, their son was just three years old. 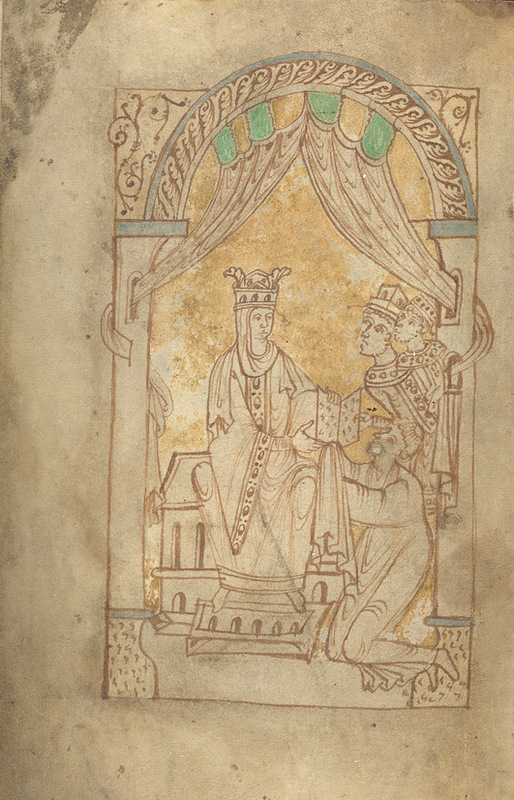 Mariana acted as regent for her son, and she would continue to do so for most of his life, due to his illnesses. Her son remained weak, by the age of six he could stand alone, but he could still not walk. She was deeply affected by her daughter’s death in 1673. 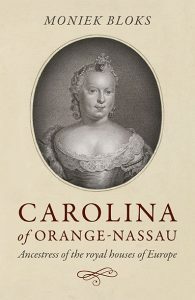 Her son was officially declared to be of age in 1675, although Mariana attempted to have him sign a document to extend the regency for two more years. 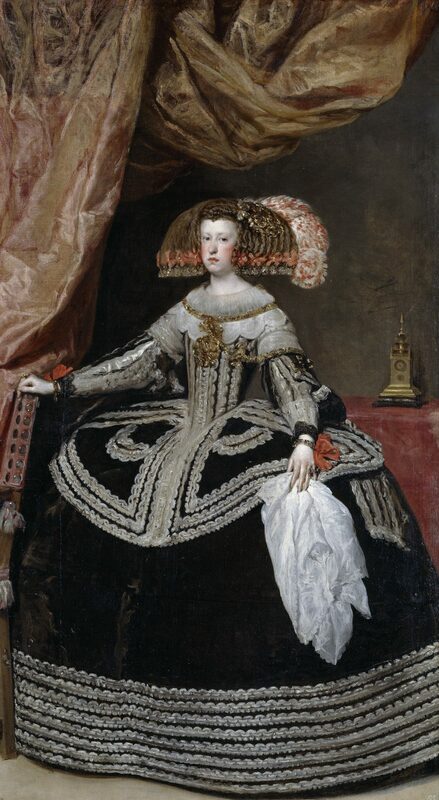 She lived in Toledo for a while but returned to Madrid upon John’s death in 1679. Her son married Marie Louise of Orléans, but their marriage remained childless. When Marie Louise died under mysterious circumstances in 1689, there were rumours that she had been poisoned on the orders of Mariana. 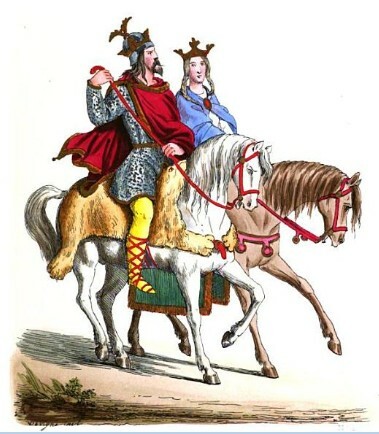 Charles remarried to Maria Anna of Neuburg, but this marriage also remained childless. In March of 1696, she finally permitted doctors to examine a lump she had noticed in her breast, which by then was the size of a baby’s head. Fortunately for her, they decided not to operate. Instead, she received “medicine” that made her feverish and she vomited often. Mariana died on 16 May 1696, holding the crucifix of Pope Pius V. Fifty thousand masses were to be said for her soul.